What it's all about. — Ripple Community Inc.
We haven't been very good about posting pictures this summer, but that doesn't mean we haven't been busy. 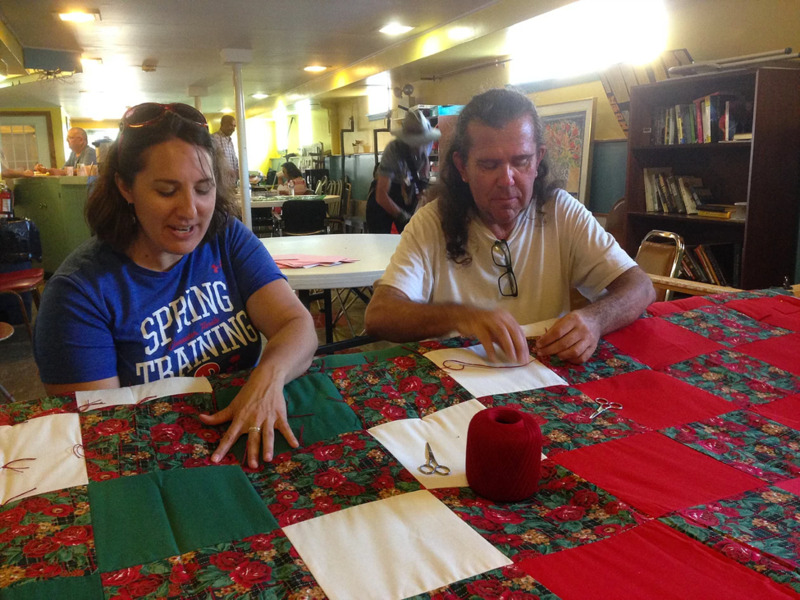 Our Community Building Center is now open on Wednesdays and Thursdays, and we have been filling our days with service projects with Community Exchange, working in the garden, sewing, making rugs, making comforters. We even ran a training on restorative practices. 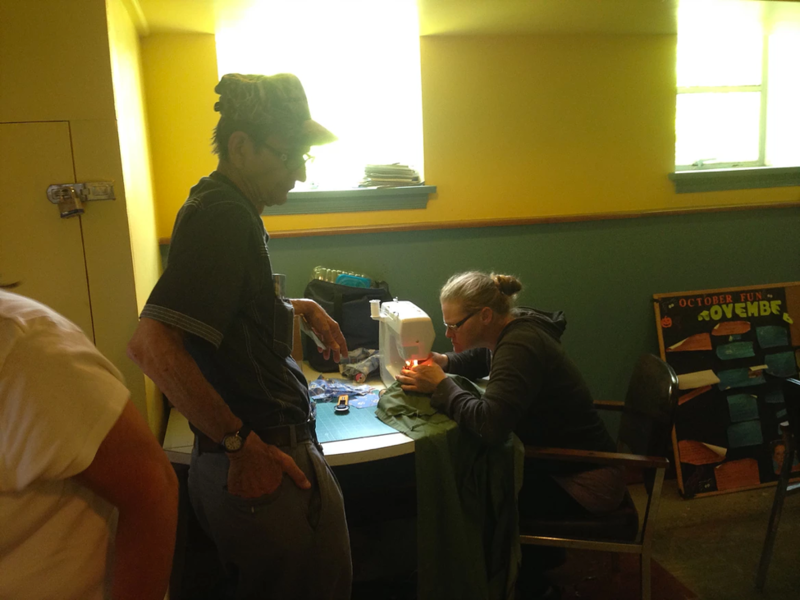 All of these things are great, but RCI is really about the community, and making sure we all have a role to play and a place to belong. 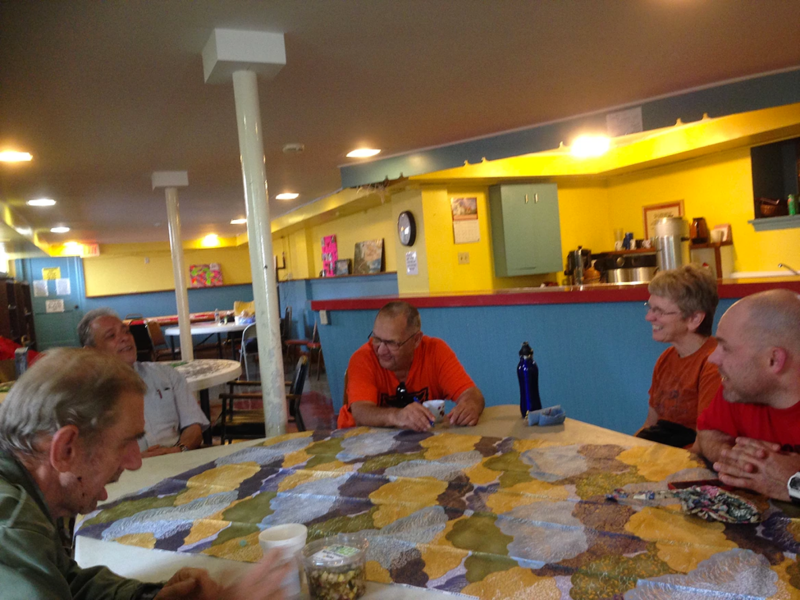 Last week, one of our regular participants came to our circle discussion, and he was visibly upset. We won't get into the details, but he was having an issue with a family member who was trying to get him to make a decision he wasn't ready to make. He said he was ready to "go over there set him straight." We let him talk. We listened. And then something extraordinary happened. He said, "That's what I want to do. But after being here, when I think about doing that, I hear all of your voices telling me to take a breath. Telling me there's another way. So what I'm going to do is go talk to him. I'm gonna tell how I feel. And if he gets upset, that's alright. I'm just gonna turn around and walk away. I learned that from you, you know." Newer PostWhat's the story of your life in Allentown?